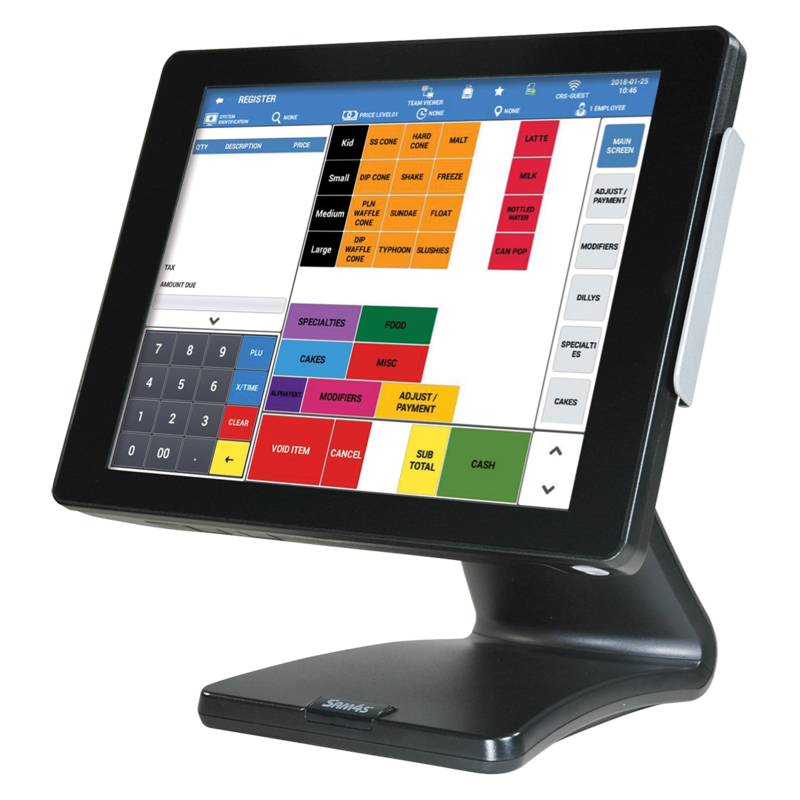 Using robust integrated SAM4POS software, your authorized SAM4s dealer can customize the application to meet your specific needs by choosing from an array of features available for food and retail operators. Out of scope electronic payment sales can be processed in a single step at the SAM4POS terminal by using an optional Datacap™ integrated payment appliance. 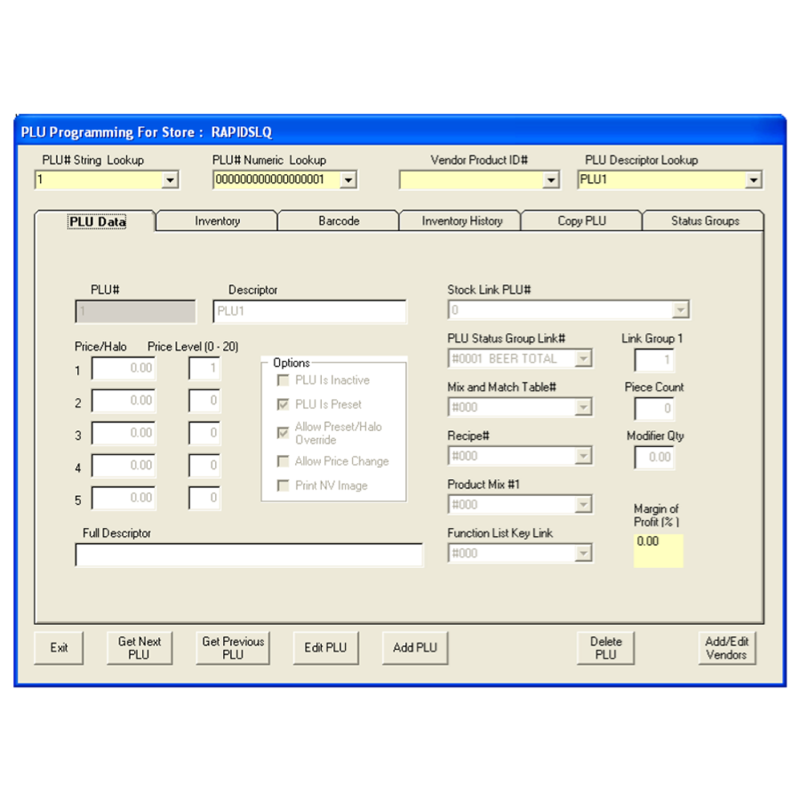 • SAM4POS is electronic payment and gift card processing ready. • EMV Transactions can be processed quickly using the latest Datacap IPTran-LTTM or PDC/TranServerTM technology with select PIN Pads and a persistent internet connection. 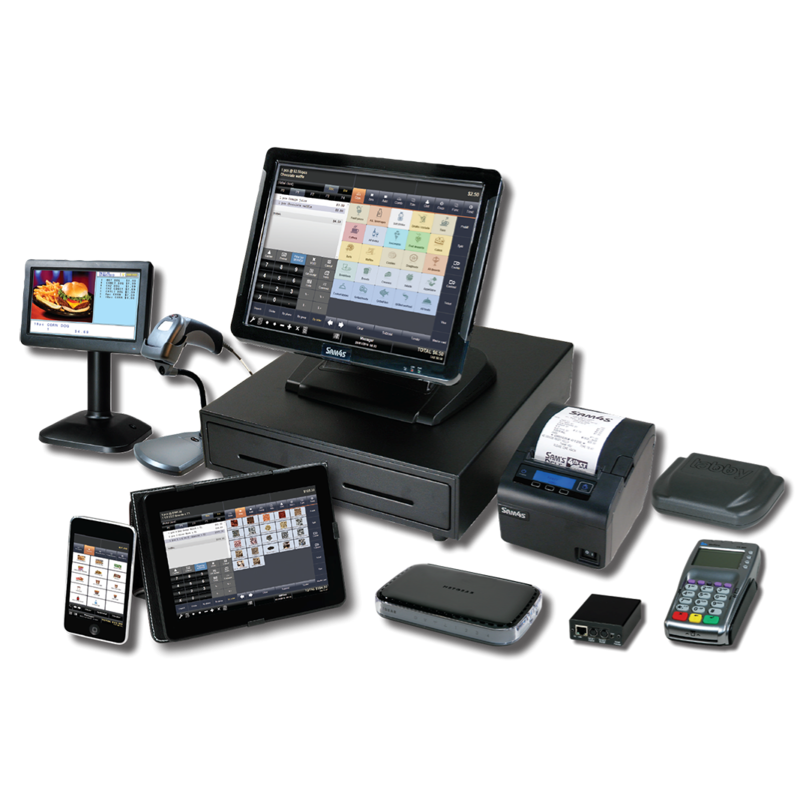 Each SAM4POS Terminal can support popular system devices including cash drawer, kitchen printer, coin dispenser, scale, pole display, kitchen video, video surveillance, UPC scanner, liquor dispenser and Datacap Tran™ semi-integrated credit. Tabby provides a contemporary platform that is easy to use and maintain, but without the budget strains and complexity of a full-scale POS system. With minimal assistance, merchants can setup their own store database; establish and maintain items, prices, departments, groups, and other options. Operation is intuitive; tablet-savvy operators are productive afer just minutes of instruction. Tabby is a WEB Server available in a compact local standalone device. To enable wireless mobility, simply connect Tabby to a wireless router. Tabby runs on any broswer capable device regardless of operating system, including PCs, mobile devices or tablets. Use Tabby to register sales, print receipts, and record payments. Tabby Back Office provides store managment tools, database maintenance, stock entry, and managment reports.